In the past 25 years, Ireland has undergone quite radical social and economic change, beginning with an era of unprecedented economic growth and inward, global migration. The ‘Celtic Tiger’ of the ’90s and early into the new millennium was followed by a period of relentless "austerity" measures as a response to the economic crash of 2008. In the early 1990s, a young singer-song writer from a north-side Dublin, working-class background began adapting Irish ballads, infusing these forms with influences from other protest genres, and seeking to draw attention to inequality in Ireland, even as the country was apparently experiencing a ‘boom’. 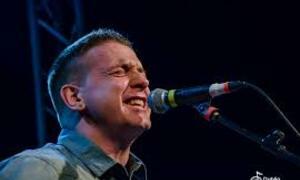 Since then, Damien Dempsey has never stopped writing or singing songs to counter inequality or injustice, championing a particular post-colonial inflected, cosmopolitan Irishness that places community, love, and social engagement at its heart. This paper explores Dempsey’s gently subversive singing, through a broad contextual reading of this artist’s output and close musical and performance analysis of two protest songs, ’Celtic Tiger" (2003) and ‘Community’ (2011). 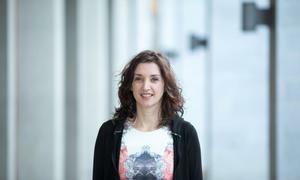 To place a contemporary performer such as Dempsey at the centre of a narrative of artist as protester and critical citizen is to offer a way of understanding the power of a working-class, and, in this instance, particular Irish voice to sensuously and uncompromisingly perform and embody critique.